Here is a brief excerpt from a superb profile of Howard Gardner that is featured by infed, a not-for-profit site provided by the YMCA George Williams College. “We are part of the British Library archiving project and a number of the pages are included on the UNESCO/NCVER voced database and on SOSIG (the Social Science Information Gateway).” To read the complete profile, check out other resources, register, and learn more about infed, please click here. Howard Gardner’s work around multiple intelligences has had a profound impact on thinking and practice in education – especially in the United States. Here we explore the theory of multiple intelligences; why it has found a ready audience amongst educationalists; and some of the issues around its conceptualization and realization. In the heyday of the psychometric and behaviorist eras, it was generally believed that intelligence was a single entity that was inherited; and that human beings – initially a blank slate – could be trained to learn anything, provided that it was presented in an appropriate way. Nowadays an increasing number of researchers believe precisely the opposite; that there exists a multitude of intelligences, quite independent of each other; that each intelligence has its own strengths and constraints; that the mind is far from unencumbered at birth; and that it is unexpectedly difficult to teach things that go against early ‘naive’ theories of that challenge the natural lines of force within an intelligence and its matching domains. 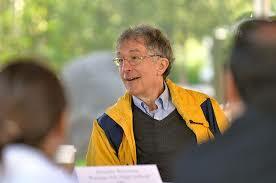 One of the main impetuses for this movement has been Howard Gardner’s work. He has been, in Smith and Smith’s (1994) terms, a paradigm shifter. Howard Gardner has questioned the idea that intelligence is a single entity, that it results from a single factor, and that it can be measured simply via IQ tests. He has also challenged the cognitive development work of Piaget. Bringing forward evidence to show that at any one time a child may be at very different stages for example, in number development and spatial/visual maturation, Howard Gardner has successfully undermined the idea that knowledge at any one particular developmental stage hangs together in a structured whole. In this article we explore Howard Gardner’s contribution and the use to which it has been put by educators. Here is a direct link to the complete profile.